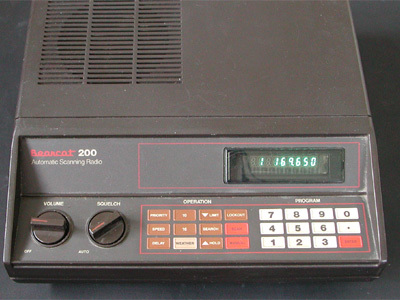 The Bearcat 200 is one of the first computer scanners. The scanner has a spacious layout and uses DIL ICs. 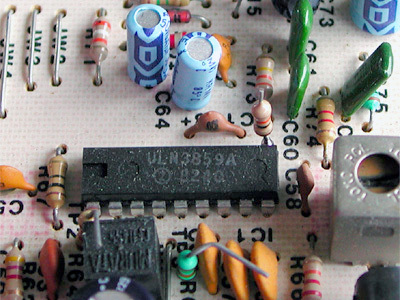 The receiver IC is a ULN3859, which is similar to the MC3359. Pin 10 contains the baseband audio. 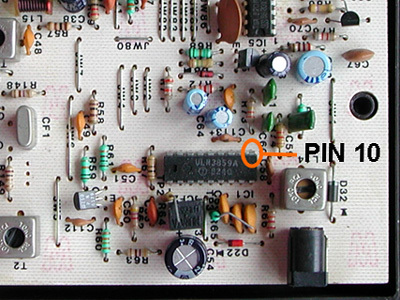 A 10 k resistor is soldered to pin 10 of the ULN3859. 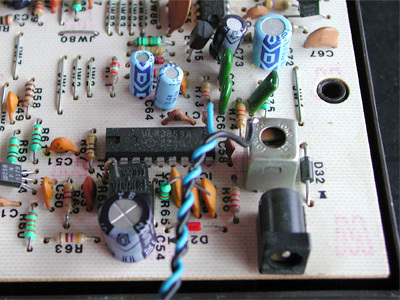 The resistor's other lead is connected to a 3.5 mm mono chassis socket, that can be mounted in the back of the scanner. The socket's ground can be connected to the metal shield of the coil close to the receiver IC. For the connection with the chassis socket you can use a piece of shielded wire, or two twisted pieces of stranded wire, as shown on the left.